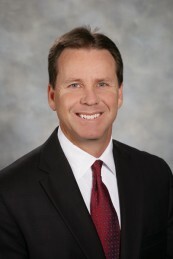 Mr. Chapman is the President of Dean Mead and a shareholder in the litigation department. He focuses his practice in the areas of commercial litigation including banking, construction, real estate, commercial landlord/tenant and probate litigation as well as creditors’ rights, creditor bankruptcy litigation and non-compete/trade secret enforcement. Represented several national financial institutions and national insurance companies in disputes involving lender liability, fraud, breach of fiduciary duty, foreclosures, and collections. Handled numerous injunction proceedings to enforce and defend non-compete agreements and trade secret protection statutes. Represented large commercial landlords in virtually every aspect of lease enforcement and tenant litigation. Represented national residential builder in breach of contract, easement, and fraud litigation. Represented national oil company in declaratory relief, recorded declaration, and development litigation. Prosecuted and defended cases involving a wide variety of subjects including business contracts, corporate/partnership disputes, shareholder disputes, employment contracts, probate, trust and will disputes, declaratory actions, and commercial torts. Defended national real estate holding company in breach of real estate contract and fraudulent inducement claims. Handled appeals before Florida’s Fifth District Court of Appeals. Why Am I Paying More Property Tax If The Value of My House Decreased? Marc Chapman, Dean Mead's President, speaks on the firm's succession planning and the importance of having niche practice areas. Chapman also shares successes, experiences and memorable moments throughout his journey from law clerk to President.